4 responses to "An Ecology of Mind (film) – UK Tour"
Very interested to read your postings about Gregory Bateson, and especially notice of the screenings of the film about him by his daughter Nora Bateson here in your blog. I’m involved in postgraduate studies on systems thinking annd practice (Open University in UK) and learned about Bateson’s influential work through these studies. I heard many very positive comments from fellow students who saw the screening over there. Such a pity it’s not yet scheduled for Ireland. I’m writing to you to ask how do you rate the possibility to arrange a screening of this film over here in Ireland, e.g. Dublin? Any ideas / suggestions how such a screening could practically be arranged? 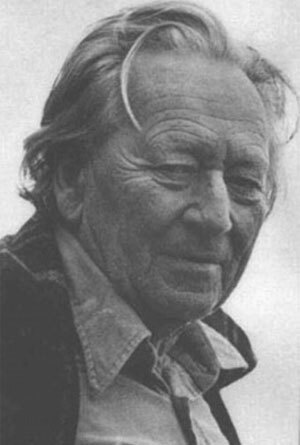 Gregory Bateson’s ideas and way of viewing the world would be worthwhile spreading also in Ireland. Surely the country and society here would have much to gain from it. It’s one of the great tragedies of our times that Bateson’s work is so unfamiliar to so many people, and that his name is barely recognised even by the generally well-educated. Those who do know Bateson’s work (not all of them of course, but a significant majority of those I’ve met or read) count him among the most important thinkers of the past few hundred years. I think one of the big problems we face, collectively speaking, is that we all commit a vast number of those errors (the error of seeing the world as a myriad individual components, rather than as a single interconnected system… of applying inappropriate metaphors to all manner of situations… of seeing conscious purpose as the primary driver of behaviour – and attempting to make it so! Essentially of being trapped in a deeply flawed epistemology). I certainly never made any claim to have escaped those errors, though in my defence I like to think that I’m at least trying. And tellingly, Gregory Bateson never claimed to have escaped those errors either. If you are living your life in such an epistemologically error-free manner, then I’d be very very interested in how you are achieving it. Having said all that, what is it about the above blog post that prompted your comment? And to what are you referring when you say “Currently available for institutional use only, public sales begin later” (the film went on general sale to the public a few months ago – though only through a German distributor thus far). A reflection on the essence of a prior comment and respons. Even if I do not know what Bateson was thinking, in practice, it seems obvious that he wanted to stimulate understanding and development of ways of thinking, which are more beneficial, given the needs in society (including nature). I guess it is not one way of thinking but the combination of thoughts, that we toghether may produce, on the way towards deeper insights. I guess Bateson wanted to stimulate learning and that we toghether, as a consequence of the learning can take steps forward in a better way than today. To do so naturally takes a more profound understanding of the system and subsystems that gives our context and which context we together produce. To do so should also take a learning attitude where wi stimulate each others into successively more profound understanding, based on where we are today. To put forward critique without the intention of producing better thinking should be against his intentions. Should it not? Perhaps I, as a swede, am not perfect in my english language, and if I would be afraid of not being perfect, I would not bring forward my thoughts. I would not even dare to ask what could be judged as stupid questions. Is that in line with the intention of Bateson′s will and thoughts. It is also small differences in our way of communicating that makes a difference. I really appreciate the intention of this site, as I intepret it and would look forward to the thoughts of James, if he could contribute to my understanding instead of vaguely indicating “you commit the errors…”. Perhaps our way of thinking can evolve in a better way if we stimulate learning instead of hampering it by our attitude? There is the ecology of mind which is closely related to the “ecology of learning” and we toghether create the ecology of learning and it is up to us together to contribute so that it emerges in a positive way. Differences makes a difference. This is very noteable in the learning ecology that one can create in a class room or in a workshop with a management team in industry. Thanks for letting me share my thoughts on this, to me, new website. I will go here again.